Wedding invitations truly set the tone for the type of celebration you will be having. Whether your wedding is laid back casual, black tie, a traditional affair, or falls somewhere in between, your invitations give guests the first glimpse of what your party will entail. 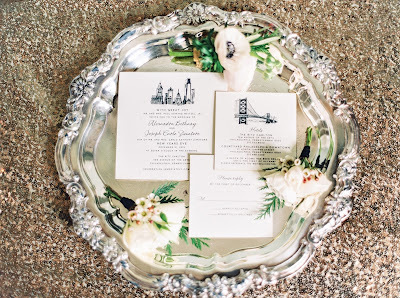 Meet Xan and Joe, who knew from the start that their New Years Eve Philadelphia wedding would have hints of glamour, elegance, and in Xan’s words, “sparkle” – and sparkle it did. Stationer Andrea of Haddonfield, New Jersey-based shop, The Paper Trail, laid the groundwork for what would become a “formal, yet fun Philadelphia New Year’s Eve wedding.” Her energetic outlook and knack for reading people allows her to cut right to the chase, matching invitations to her clients with uncanny ease. And with the help of Xan’s dear family friend and illustrator, Susan Moore Smith, (who also just so happened to design her mother’s invitations) the couple set out to create invites that were truly their own invention and entirely their own personality. Our new William Arthur Weddings One collection debuts next month, and we've certainly kept the classics that brides have loved for years. But we've also made sure to include designs that reflect the trends in wedding invitation designs we've been seeing lately. In a Q&A with the designer of Weddings One, Karen, it's clear what brides are currently loving: all things vintage, lace and metallic/shimmer. Below is a handful of invitations from our new album that incorporate all three. 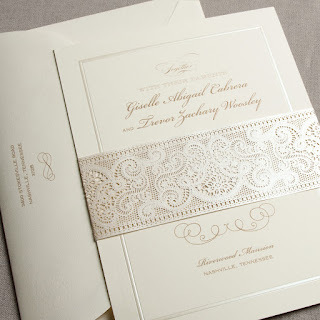 Pearl Invitation with Swirls Motif: A touch of whimsy on this invitation sets the tone for a wedding equal parts classic and charming. 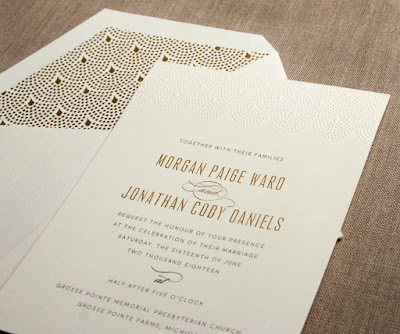 Engraved Ecru Scalloped Pearls Invitation: Festive and sophisticated, a touch of 1920s glamour makes this invitation perfect for the vintage-inspired affair with more than a hint of romance. 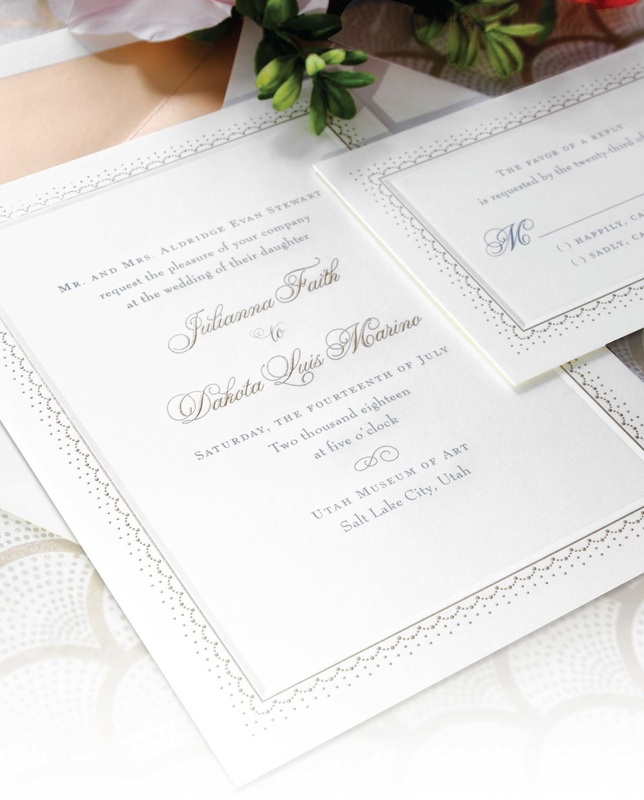 Engraved White Pointelle Lace Invitation: A hint of metallic adds elegance to any design, making this invitation perfect for the affair with a touch of vintage glamour. Take a peek at our new William Arthur Weddings One collection.